Viknesh Vijayenthiran June 14, 2012 Comment Now! 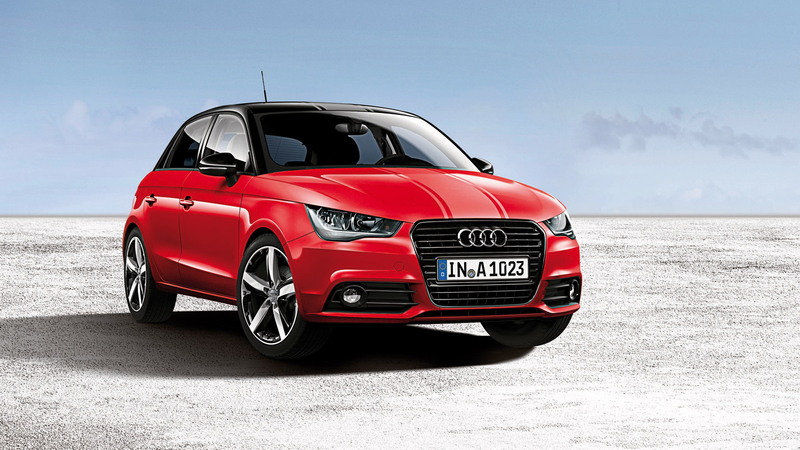 While the Audi A1 isn’t sold in the U.S., new upgrades for the car overseas may hint at some new trim options to be offered on some of the Audi’s other models, including ones sold here. 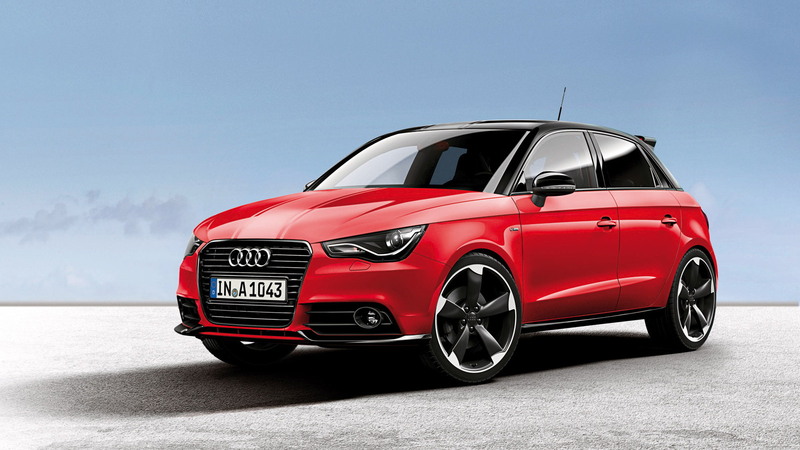 The new upgrades are designed to add a sportier touch to the A1 premium hatch and carry an ‘amplified’ tag. The upgrades are available on both the A1 three-door and A1 Sportback five-door and can be broken down into three different levels, helping to offer something for everybody. They can only be ordered in Misano Red or Glacier White, however. The first level is known as amplified. On this model, high-gloss black is applied to the roof line, S line roof spoiler, exterior mirror housings and single-frame grille. The exterior is further accentuated by 17-inch alloy wheels in five-arm design with black inserts and a matte, transparent film for the engine hood, roof and rear hatch. 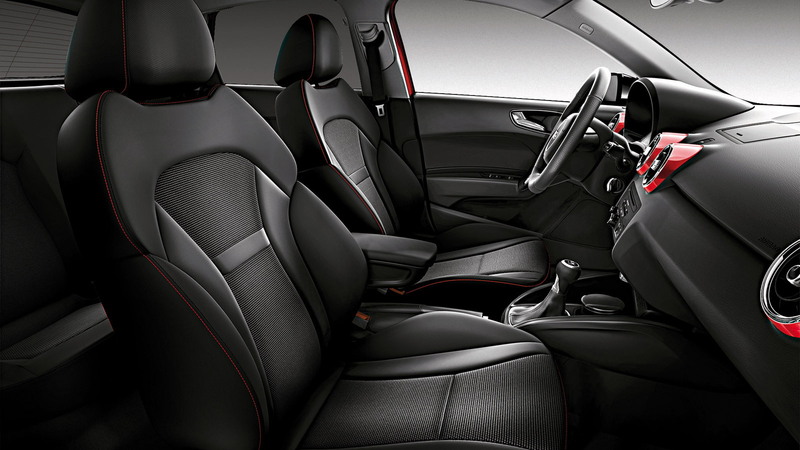 Inside, the air vents match the exterior color and special black-trimmed sport seats are fitted and come with contrasting stitching. The second level is called amplified plus. Its interior is upgraded by a black headliner, an LED interior light package and a color coordinated ignition key. The center console and rearview mirror housing are also painted to match the exterior, while stainless steel caps for the pedals and foot rest underscore the car’s sporty character. There are also some additional aero pieces on the bodykit and LED tail-lights. The third and final level, amplified advanced, is reserved for the most powerful A1 models. 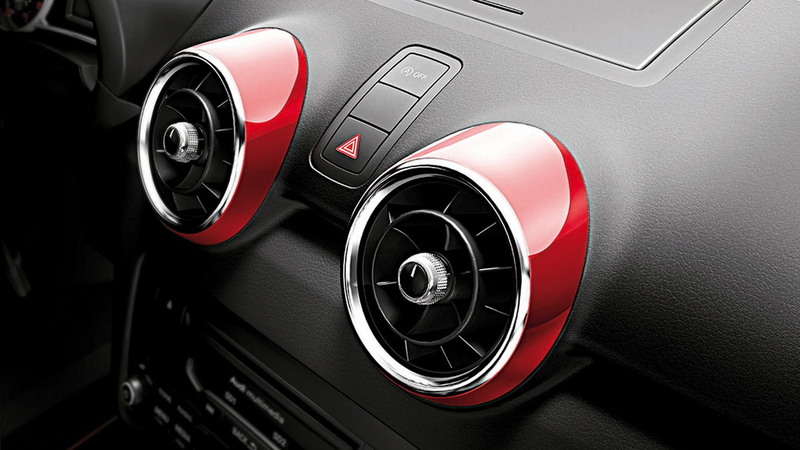 In addition to the equipment features offered for the amplified and amplified plus levels, this version offers the interior features of the S line sport package. 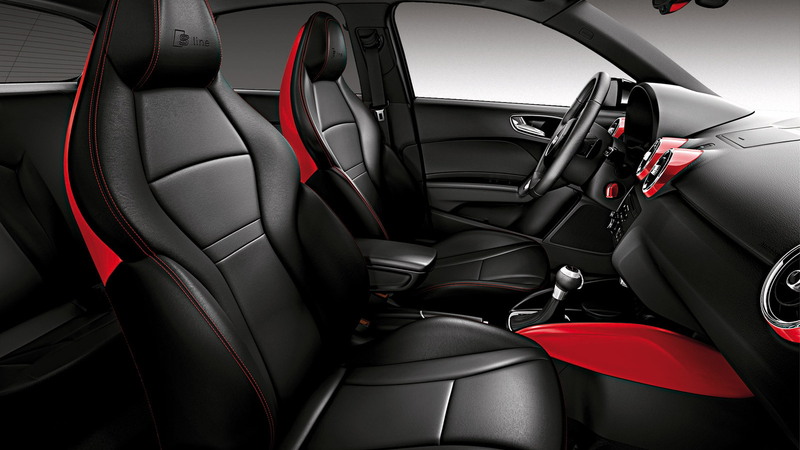 In this package, Audi installs S sport seats with black upholstery in Silk Nappa leather and contrasting stitching in Parade Red or Dark Silver. The seat backs are also painted to match the exterior, while outside there are xenon headlights, 18-inch wheels and a large rear wing. Pricing for the upgrades start at 1,990 euros (approximately $2,500).